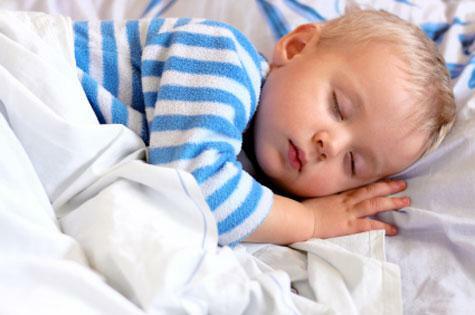 New study reveals another great reason for pre-schoolers to have an afternoon nap. Want your kids to learn better? Get them to take an afternoon nap! Taking an hour-long nap during the day can boost learning in preschool children by improving their memory, a new study has found. US researchers found that a nap helps children better remember pre-school lessons. Research psychologist Rebecca Spencer, with students Kasey Duclos and Laura Kurdziel, said the results suggest preschool children’s naps are critical for memory consolidation and early learning. 40 children from six preschools across western Massachusetts took part in the study. "Our study shows naps help kids better remember what they are learning in preschool," Spencer said. The researchers taught children a visual-spatial task similar to the game 'Memory' in the mornings. In this game, children see a grid of pictures and have to remember where different pictures are located. Each child participated in two circumstances. In one, the children were encouraged to nap during their regular classroom nap opportunity. Naps lasted an average of 77 minutes. In the second circumstance, children were kept awake for the same amount of time. Memory for the game was tested after the nap and wake conditions and again the following day to see whether nighttime sleep affected performance. Children forgot significantly more item locations on the memory test when they had not taken a nap (65% accuracy), compared to when they did nap (75% accuracy) – showing children recalled 10% more of the test locations than when they had been kept awake. "While the children performed about the same immediately after learning in both the nap and wake conditions, the children performed significantly better when they napped both in the afternoon and the next day," researchers concluded. "That means that when they miss a nap, the child cannot recover this benefit of sleep with their overnight sleep. “There is an additional benefit of having the sleep occur in close proximity to the learning," they said.